Cuban sensation Erislandy “The American Dream” Lara (21-2-2, 12 KOs) will defend his super welterweight world title against former world champion Jan Zaveck (35-3, 19 KOs) on Premier Boxing Champions (PBC) on ESPN Wednesday, November 25 from Hialeah Park Racing and Casino in Miami with televised coverage beginning at 9 p.m. ET/6 p.m. PT. Lara, known as one of the best technical boxers in the sport, was an exceptional amateur for the Cuban national team before eventually defecting from the country. Now, Lara will fight in Miami for just the second time in his career, a city that boasts the largest Cuban population in the U.S. The 32-year-old Larais a slick boxer with the ability to deliver punishment while taking very little of it in return. 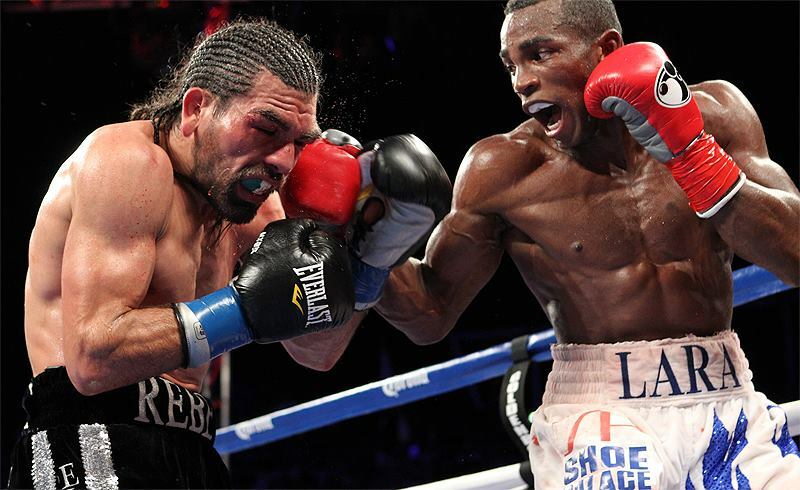 Lara has notched victories over Alfredo Angulo, Austin Trout, Ishe Smith and Freddy Hernandez throughout his career. As an amateur, Lara won numerous titles including a national championship at welterweight and also participated in the 2007 Pan-Am games. The fighter originally from Guantanamo, Cuba most recently dominated Delvin Rodriguez on a June 12 PBC card. A former world champion at welterweight, Zaveck was a seven-time national champion in his native Slovenia, but has fought out of Germany for most of his career. The 39-year-old won a world title by stopping Isaac Hlatshwayo and went on to defend his title against, Rodolfo Martinez, Rafal Jackiewicz and Paul Delgado. Zaveck enters this fight on a three-bout win streak including his most recent triumph over Sasha Yengoyan in April 2015.
and www.Facebook.com/WarriorsBoxingPromo. Highlights available to embed at www.youtube.com/premierboxingchampions.